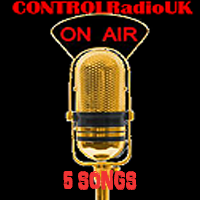 Here at CONTROLRadioUK we're always on the look-out for music be it for the playlist, or just because we think the tracks are pretty neat so check out our picks below. This is such a beautiful song. I really don't know how else to describe it. Usually when an Artist does a song as a break-up 'reply', they can be problematic. We get talk of "good girls" and "bad girls" and how a person has been so hard done by, when they've only ever done their best and it's not something you want to listen to. None of those elements are here, just a simple break-up story and it's beautiful. Molly has given us a Rock anthem in 'Prom Queen' and a nice enough Pop song in 'Good Die Young' and now we've got a simple ballad, which is harder to pull off than you'd think. There's always the temptation when the music goes up just that slight bit to hit it with all you've got, but you have to hold back and resist overpowering the music which Molly does superbly and then gives us a fantastic ending to the song. PVRIS ARE BACK! AND THEY'RE AS WONDERFUL AS EVER! That's all I have to contribute! Seriously PVRIS are an amazing band and I am so glad that we're finally getting a new album because it's felt like 84years.gif (I promise I will stop doing that eventually), and they're as good as they've ever been. I am very much looking forward to the new album. This video is typical PVRIS (because yes! They are sooo good I am required to write their name in capitals) and this is both a lyrical and musical masterpiece. 'My House' will always be my favorite songs of theirs followed by 'You and I' but 'Heaven' is definitely rounding off the top 3. Their new album 'All We Know Of Heaven, All We Need Of Hell' is released on August 4th and available for pre-order now. I can neither confirm nor deny reports of my own purchase as I'm too busy listening to this on repeat. My say something bad and say something nice quota for the day; The dance moves in this video are quite impressive, even if Kat Graham's singing skills could do with a bit of work. My follow up to that? Just because you're a good actress and a great dancer does not mean you can add ok-ish singer to that trio. Sometimes being a singer & an actress works out for people, but not here. The music is very basic and I'm sorry to say so is Kat's voice. Granted she's not the worst female singer I've ever comes across (That lovely list is coming up in our Throwback Thursday Special later) but she's also not the greatest. My good people at CONTROLRadioUK HQ happen to like dancing and videos which feature dancing a great deal, because they're a big fan of choreography (as the endless watches of the Step Up Movies inform me) which is why this video is featured here. Plus the fact I am occasionally over-ruled in the voting, but a big enough person to admit this song does have promise even if it's not a lot. I'm beginning to feel like 2017 is the year of musical comebacks and honestly? When you're giving me Paramore, PVRIS, Hurts & Steps? Not hating it. Elements of this music video make for hard watching, but it fits perfectly with the lyrics and I just absolutely adore this song. It's so perfect and I need more music from Hurts stat.